"This was a perfect place for us." Have a question for Buritara Resort & Spa? Located close to the Thonburi station on the outskirts of Kanchanaburi is this resort that promotes living with nature. Popular tourist attractions are the Death Railway Museum and the adjacent cemetery, Death Rail, a trip over the Bridge over River Kwai, and a trip to the Tiger Temple. There also are several waterfalls and river rafting for the thrill seekers. 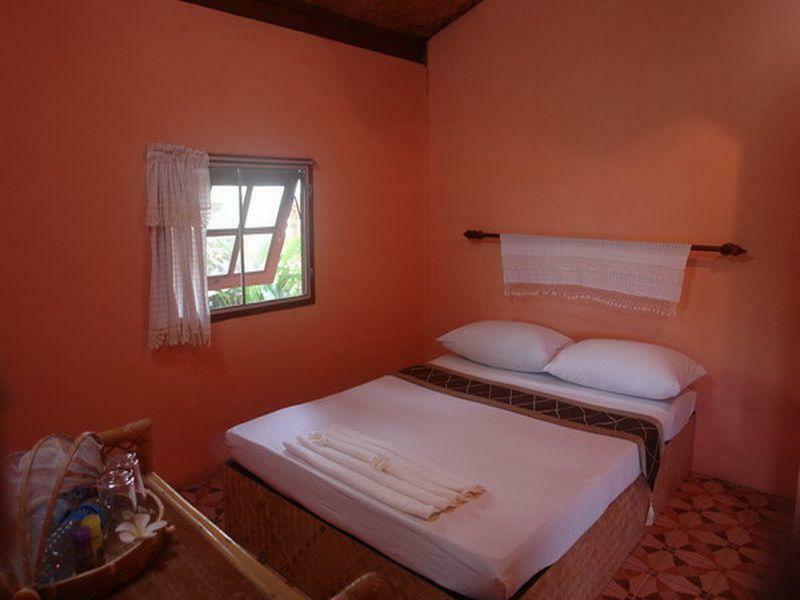 Accommodation is in individual houses and is on a sloping hill leading to the River Kwai. Guests can enjoy the weather and nature with an outside dining experience on the river banks. After a busy day exploring the city, come and relieve sore muscles at the spa. Guests at Buritara Resort & Spa also have the option of taking a Thai cooking class to learn your favorite dishes. This was a perfect place for us. I required peace and quiet and I definitely got that. The resort is isolated but just what I wanted. Staff were excellent and accommodating. Food is all Thai food, again fine with me. big room, but quite old. actual surrounding is not same picture in Agoda, during we walk from lobby to room. We choose the hotel as viewing agoda photo but the place different from your photo. Pet friendly. Very quiet and peaceful place. We stayed at a deluxe tent. The room was quite old but spacy and clean. The surrounding is very quiet and the location is next to the river Kwei. I got free upgrade by request. The food is nice. Staffs are well trained and take care customer. 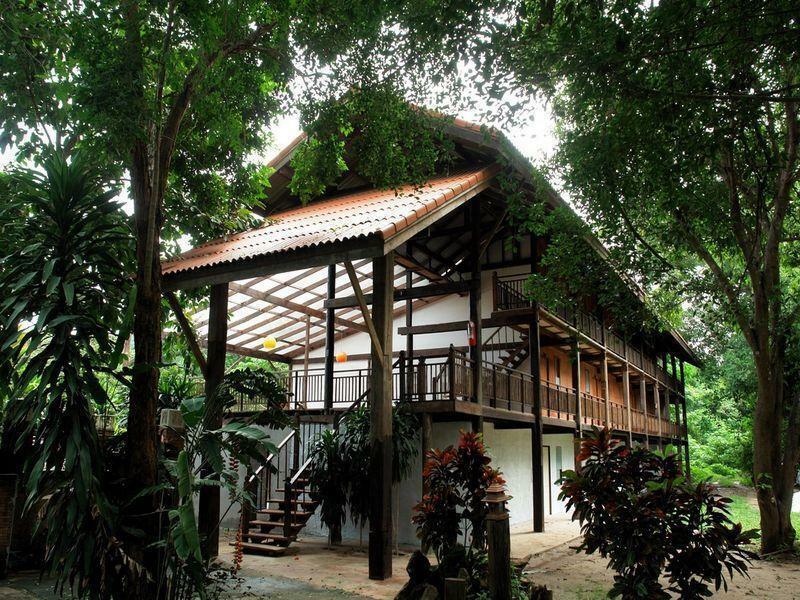 Th elocation is next to the river, you can feel fresh air in the morning. The room is clean with nice decoration and atmosphere. The location could be very nice but in need of serious investment to bring up to even a good basic standard. Booked for 2 nights and left after one. I booked a luxury tent and got a leaky caravan with a bit of canvas at the front. The place is run down and needs total renovation. I was not happy having paid good money to find the hotel in disrepair.. The breakfast was basic but good.. The hotel is very difficult to find and not well signposted.. If I had paid half as much I would have few complaints. However the hotel is not worth more than 1000 baht per night in my view. Good tents. They are very luxiourious and when at the river you have a very nice view. I like this hotel very much. It also helped that they upgraded us free of charge when our own room was leaking and not that clean (the bathroom that is). The tent is defenitely worth the money and very luxiourious. You can better go enjoy the surrouding or the spa. We spent a long weekend here. The resort is quite big with a nice landscaping by the river but the pool is too small. Our room is big but old with little amenities. The restuarant there serves basic food with a speedy room service. The best thing about this resort is a very friendly staff. First of all, I simple don't like manner of the staff. She doesn't need to comment about customer's face or give out her thought at all, she doesn't need to say how customer looks like, they are your customers, and you have to pay respect. Secondly, the water in the toilet cannot be ventured and it always makes flooding in the toilet, and it takes very long time to take water out. The location is also very unknown and it is down the hill, the hotel is very old, and there seems to be some termites. I'm afraid one day it will collapse down!! Massages were heavenly. While we were waiting for our room they let us wait in the spa with Dr.Fish. Breakfast by the river was a wonderful way to wake up. The Manager could not have been sweeter! They even set up an unofficial tour for us to go around to the attractions for an incredibly reasonable price. It is about an hour outside of Kanchanaburi- so getting there is also a bit tricky. Overall we were very happy with our stay. The manager could not have been any more accommodating, and the staff were sweet. The place is far out and rundown, but our cottage house was very cozy and we were actually very happy with the remoteness of the place. It had a certain charm and we were able to relax and escape the bustle of Bangkok. this hotel is reasonable for the discounted internet rate that we got from agoda - the tents were well layed out and nicely located near the river kwai. The staff were willing and helpful and we had a pleasant nights stay. Overall the hotel has an air of neglect and decay which is a shame because it has potential given a little careful investment.